The Google Panda update was designed to prevent poor quality content, spammy content and copyright infringement. And in most cases it worked really well. It got webmaster to shape up their tactics and ensure the user was catered for with quality unique content. But there is one issue with Google Panda we’ve found that means your website can still be penalised by Panda even if you’ve played by the rules. Here we look at the unseen problems with Google Panda and is it really fair that you work hard on your website to deliver quality user driven content that when someone else lifts it you get penalised? Someone stole my page content and my site rankings dropped! We always advise our clients and friends to make sure their website content is unique and user friendly, it’s a basic fundamental of SEO these days. But what happens when someone else lifts your page content for their own use? You get slapped by an overly eager penguin that’s what! Recently we helped a business who’d had some pretty poor SEO in the past, lots of spammy inbound links which lead to Google Penguin issues and a manual action penalty and duplicate site-wide content. Due to the nature of their business; an online retailer selling juicers and health food appliances duplicate content is pretty hard to avoid when all your suppliers and outlets use the same content. However we ran a full site audit and prepared the disavow file, removed as many spammy links as possible and employed a skilled copywriter to help with rewriting their on page content. 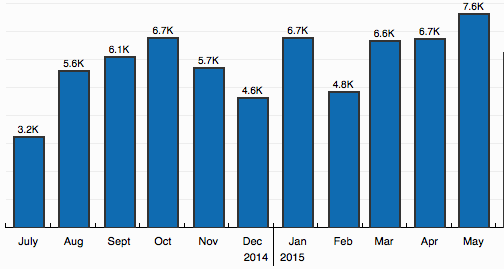 Over the next 6 months the site rankings really improved as did their online sales as a business – great! I noticed 2 weeks ago their main landing page for ‘cold press juicers’ bombed! No reason, couldn’t be a link issue as it has some great inbound and natural links now. Quality content had been rewritten and people had began to share it, brilliant! That’s a win in SEO land. We noticed that many of the SERPS for this search phrase were US and AU related sites, we’ve seen this before and deemed it to be some kind of glitch and would correct itself over the coming days. But it didn’t! And this is the only page that has been affected. The site as a whole is performing better than ever apart from this one page. I started to check for dropped links, off page issues such as https vs http issues, they’d had this problem before. But all was clear. I even contacted their web developers to make sure they’d not something like no index the page, but again nothing. 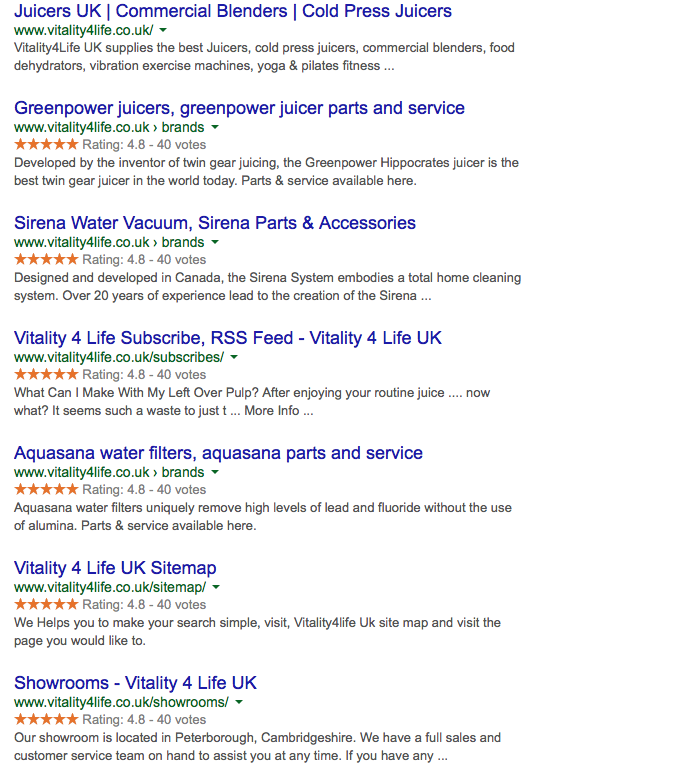 site:vitality4life.co.uk should show me all the pages indexed, and usually the most popular pages will be listed at the top. This landing page wasn’t anywhere near the top which is odd as it was previously 2nd or 3rd. That doesn’t obviously mean there’s an issue but it made me think, ‘Google doesn’t like this page anymore’. So now i thought lets see how it ranks if you search pages from UK. Great it’s page 1 at least but a bit lower than before. I had already checked in the webmaster tools account for a manual action or any recent link activity that could be seen as suspicious. No change to suggest this was an issue. Is it a duplicate copy issue? 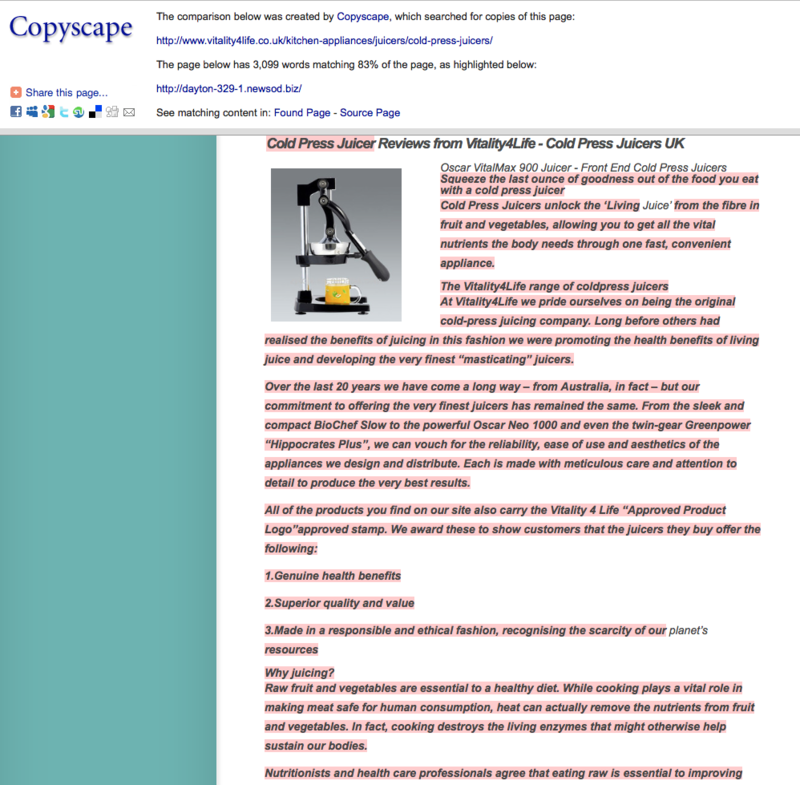 As the copy had be rewritten earlier this year and checked and the client had signed up with copyscape.com to notify of any duplicate copy issues we never checked this as we didn’t think it would be an issue. Anyway to make sure no stone was left uncovered I ran the site through copyscape and found this error straight away. 83% page of page content found. Great! Copyscape tracking code had been removed on the latest site development changes and hadn’t picked this up. The source of the duplicate content appears to be some spammy free hosted blog, they’d lifted lots of content from many sites to try and rank themselves, probably to make their own spammy link technique even more relevant. Normally we would just reach out to the site owner and say ‘please remove this content otherwise we’re coming after you’. But as it is an anonymous free hosted blog we have little chance there. We could try and contact the owner of the free hosted blog but there is a quicker way. Either rewrite the 2000+ words of content or use DMCA which will cost $199, much more cost effective than paying a copywriter to redo it. No brainer then DMCA it is. So this is the unseen issue with Google Panda in my opinion, even when you play by the rules you can still get penalised. There are still lots of individuals and companies using outdated black hat/lazy SEO to get results. And whilst those who play by the book should be safe from Panda it’s clearly not quite the case as this case study shows. 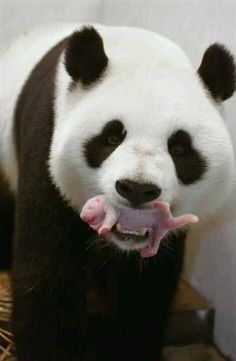 Panda is here to help the user and I believe in most cases it works. But is it fair that businesses should have to monitor their content on a regular basis to ensure it’s always unique and not copied and reused?